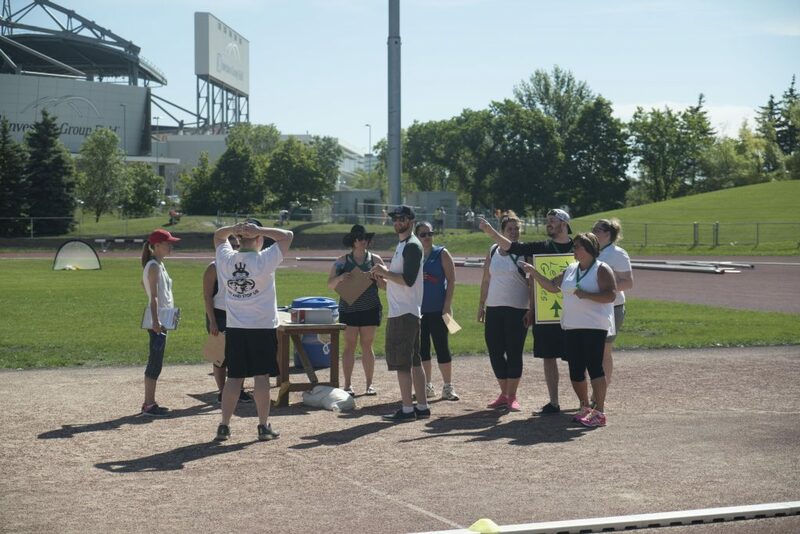 On July 5, 2017, Turning Leaf hosted the 5th annual Turning Leaf Games, where multiple agencies brought more than 150 participants—people who experience mental illness, intellectual challenge or other disabilities—to the University of Manitoba Stadium for a chance to showcase their athletic talent. The day was a huge success for everyone involved, participants, staff and volunteers alike. We had events ranging from the 100-metre to the 400-metre to shot put to soccer and even the long jump. 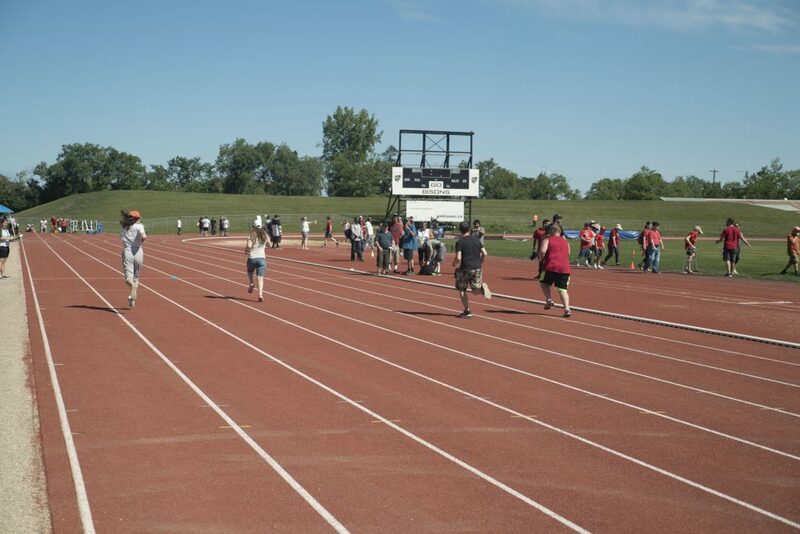 Participants from many Manitoban agencies run the 100-metre dash. 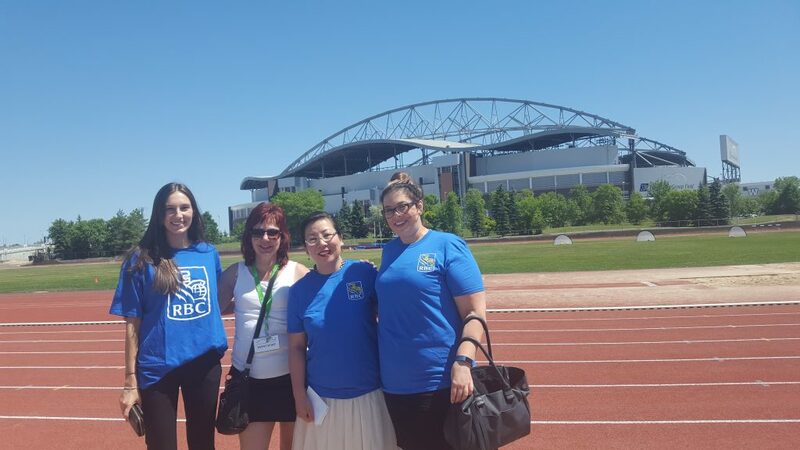 Turning Leaf Director of Community Relations, Leanne Peters, with our RBC supporters at the University of Manitoba Stadium. 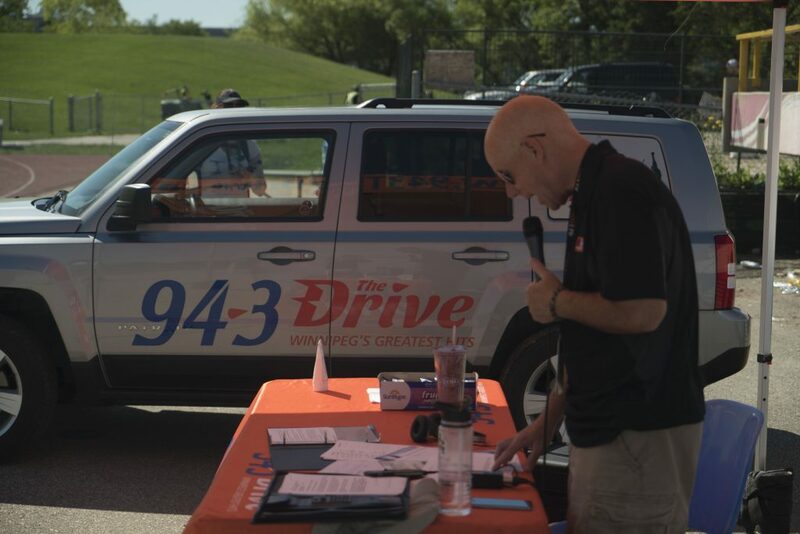 If you weren’t in attendance, you might of caught us on the radio, as 94.3 The Drive on-location host Kelly Parker did a great job telling Winnipeggers who Turning Leaf was and why our event was so special. So, we’d like to thank him and his team. Kelly Parker making sure everyone knows about the Turning Leaf games. And, of course, we’d like to thank our wonderful staff and all the volunteers. Without them, none of this would have been possible.